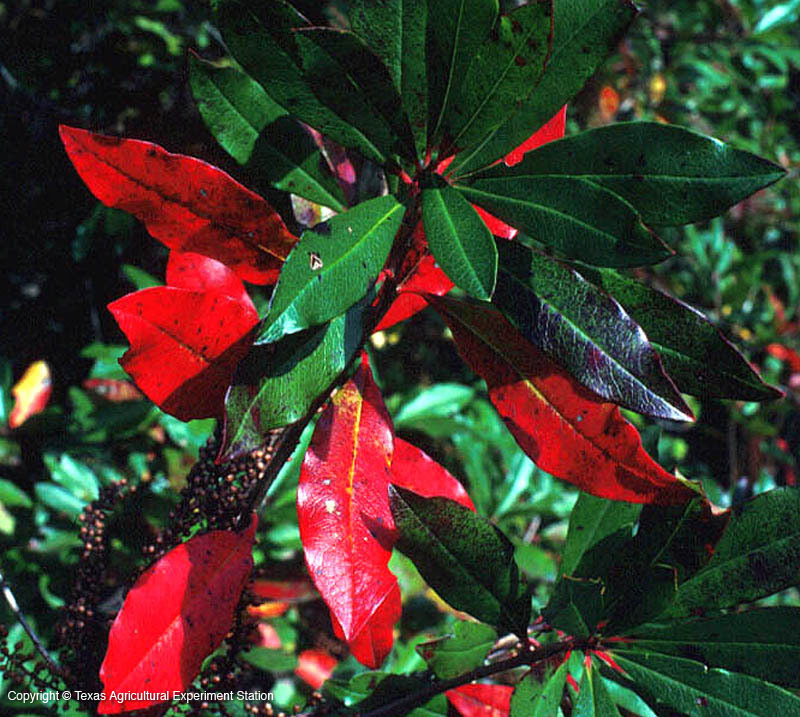 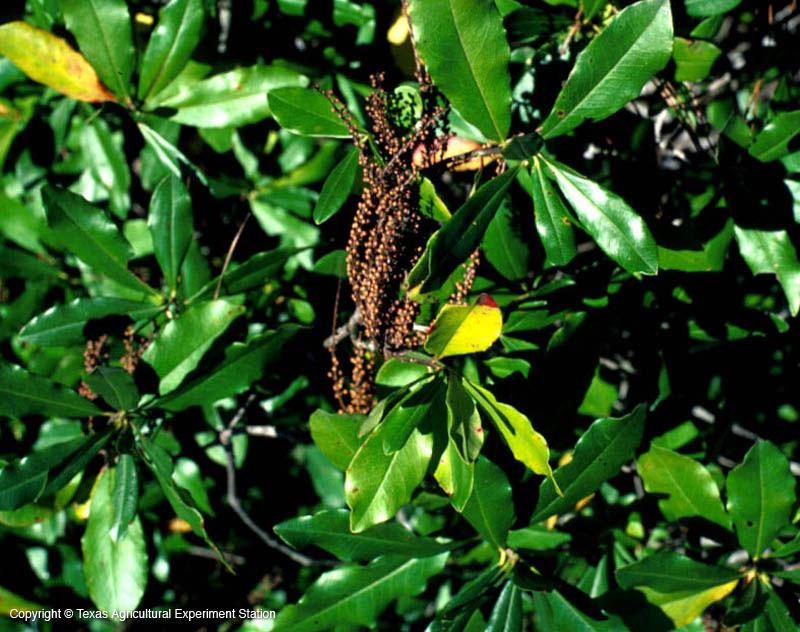 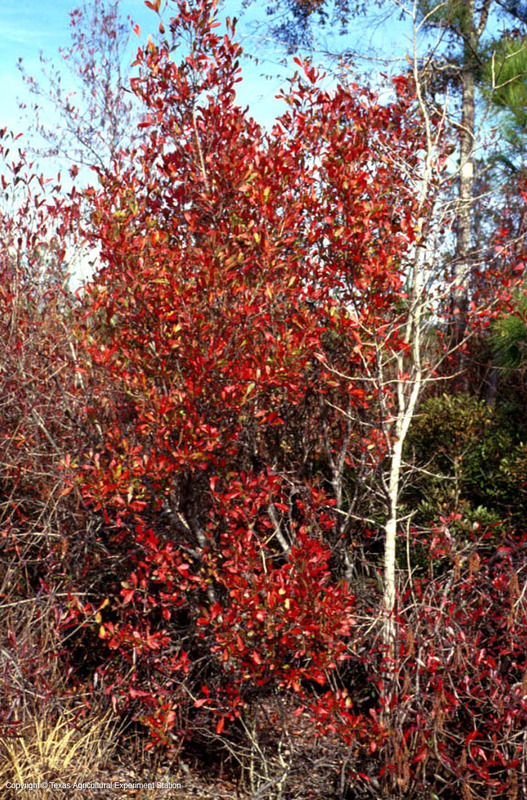 Leatherwood is a very attractive shrub or small tree that grows in the wetlands of southeast Texas, although it does not require an excess of water to survive. The trunk usually divides just above the ground, giving it a symmetrical, round- topped crown; the branches are twisted and contorted. 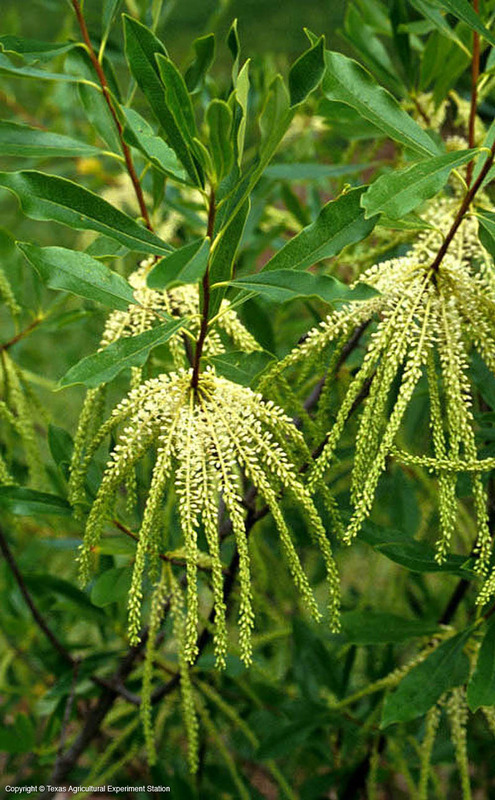 The lustrous rich green semi-evergreen to evergreen leaves turn red in the fall, and showy white racemes of fragrant flowers cover the tree from May through June.